We’re currently in the process of landscaping our front garden before the builders arrive this Spring. Before our arrival at Streamfield, our front garden was overgrown and had historically been used as a fruit and vegetable patch, and the remaining land had been left to grow wild. 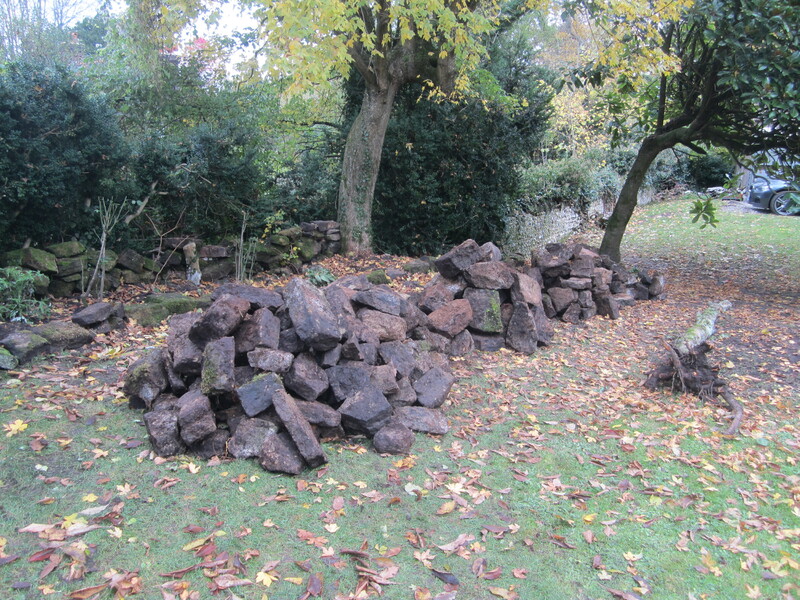 During the clearing process we have dug out a huge amount of stone from the ground and have wondered what to do with it! 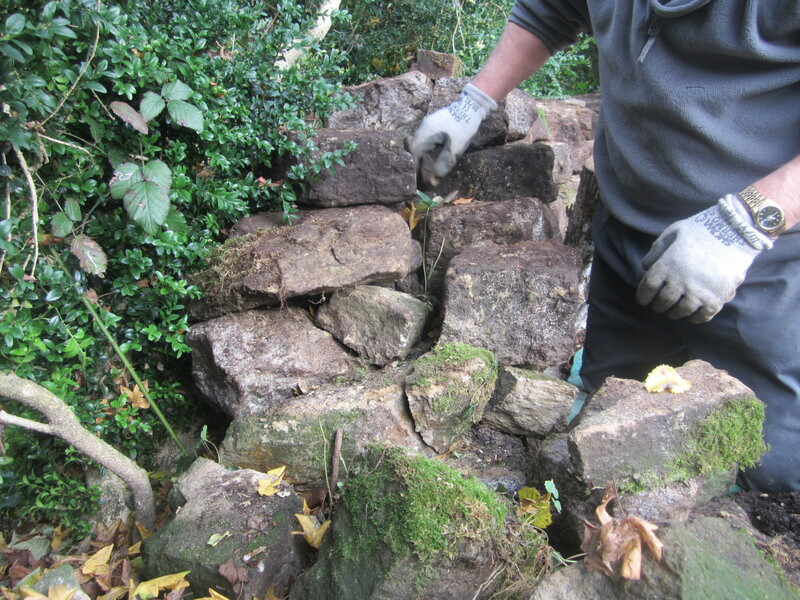 1) First we sorted out the stones into different sizes: large, medium, small and rubble! 2) We then dug foundations where necessary around the wall, and laid large foundation stones at the base. 3) Next we followed the rule of one stone on two stones, and two stones on one. Covering each joint as we progressed for greater stability. 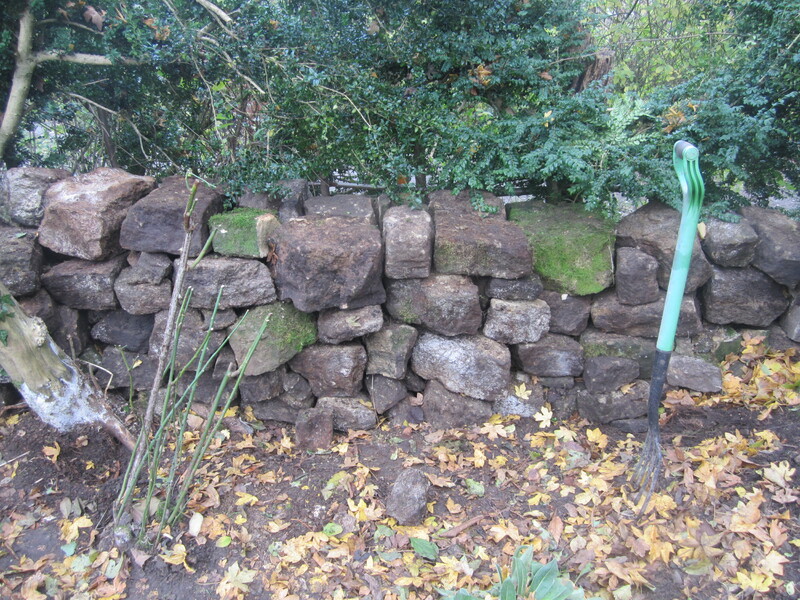 4) To keep the wall level and stable we infilled with smaller stones and rubble. 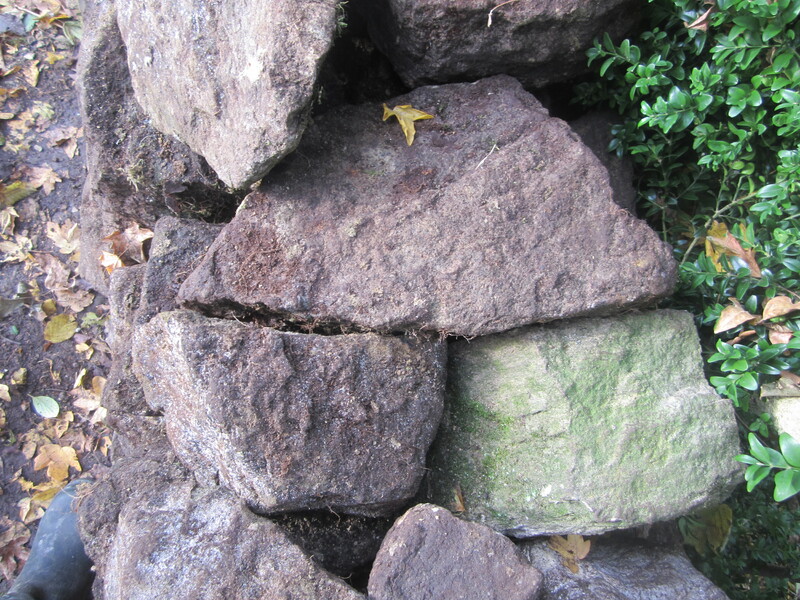 5) As the wall built up we gradually tapered the top, finishing with a thin, flat stone on top of the wall. 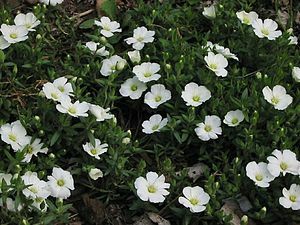 Next Spring we hope to grow Aubrieta and Sandwort in the crevices of the stone wall. Good luck and Happy Dry Stone Wall Making! This entry was posted in Gardening and tagged Aubrieta, Dry stone, Home and Garden, Masonry and Stone, Natural Stone, Stone wall. Bookmark the permalink.